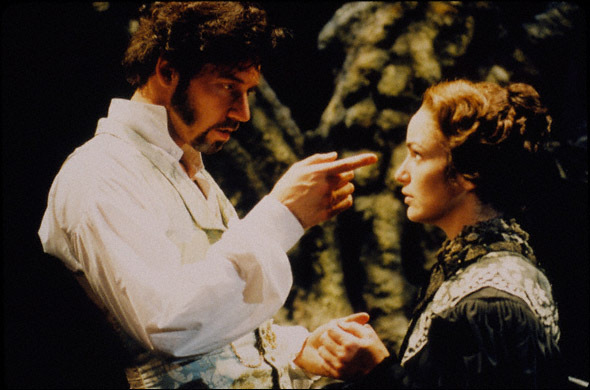 Jane Eyre, based in the novel of the same name, was the third of the four nominees for Best Musical 15 years ago that I've talked about. 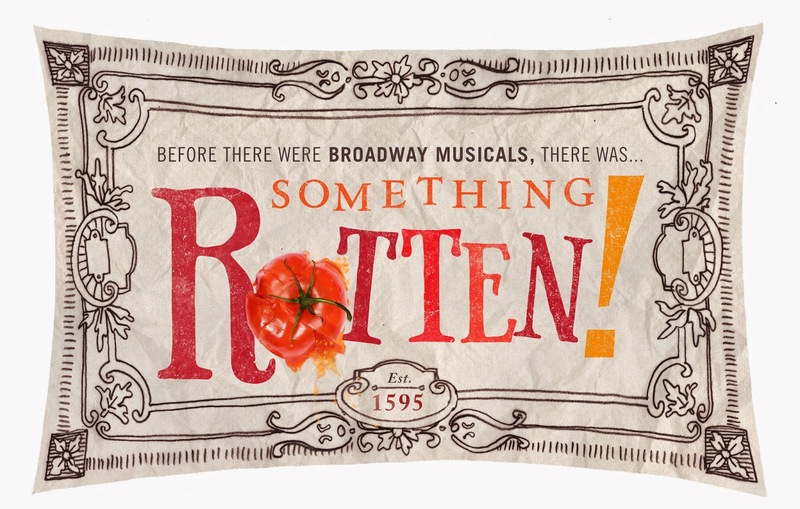 What really sets this one apart from the others is that it really signaled the end (or at least the slooow death) of the epic musical so popular on Broadway the previous two decades. It was even directed by one of the "greats" of that era - he had his hand in Les Miserables. Perhaps, it was the comparatively small scale of it. Or the darkness. Or that "new fangled" computer-generated scenery. 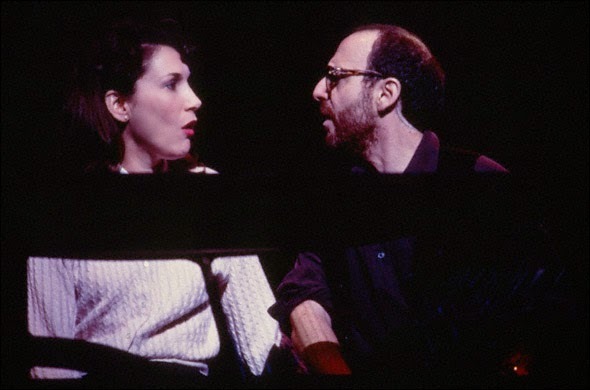 It also featured Marla Schaffel, who, at the time, was expected to become a huge Broadway and beyond star. She hasn't been back since. It wasn't a complete failure, I suppose. 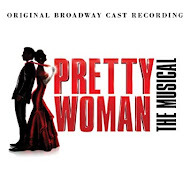 It generated a cast recording and earned 5 Tony Award nominations - Best Book, Score, Actress in a Leading Role, Lighting Design and, of course, Best Musical. It went home empty-handed, and closed one week later, on June 10, 2001. John Caird (Book, Direction) - He wrote and/or helmed two of the biggest hits in Broadway history: Les Miserables and The Life and Adventures of Nicholas Nickleby. Tony nomination: Best Book of a Musical. John Napier (Scenic Design) - Also a part of Les Miserables and Nickleby, he also designed Equus, Cats, Starlight Express, Miss Saigon and Sunset Boulevard. This was his only flop. Andreane Neofitou (Costume Design) - a Tony nominee for the original Les Miserables, she also designed the current revival, and... you guessed it... Nicholas Nickleby. 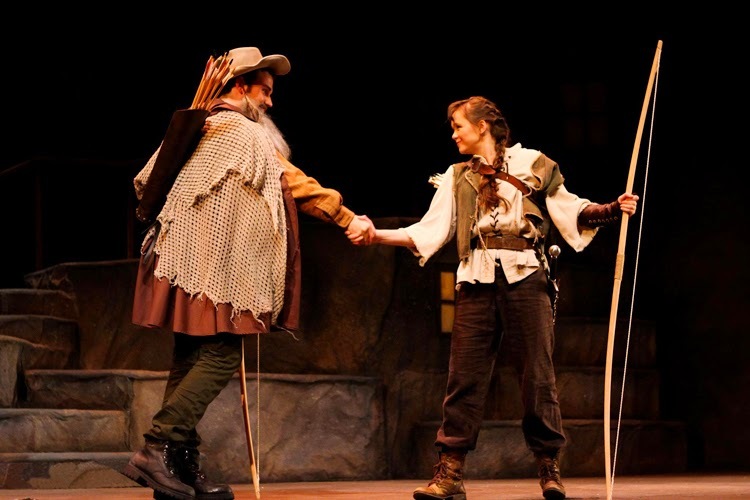 James Barbour (Rochester) - Barbour had appeared in several shows prior to this one, but from here on, he took on other starring roles in A Tale of Two Cities and the revival of Assassins. 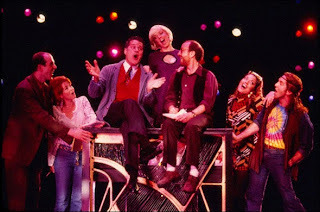 Several members of the ensemble - Stephen R. Buntrock, Mary Stout, Bill Nolte and Jayne Paterson - have continued to have successful careers as replacements and show gypsies. 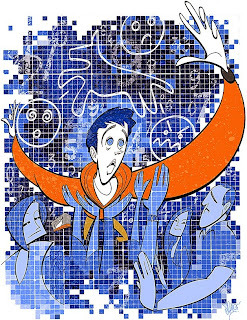 Was the artwork better than the show? James Barbour (Rochester) - He's the current Phantom in The Phantom of the Opera. Gina Ferrall (Mrs. Reed/Lady Ingram) - She's a standby in It Shoulda Been You. Don Richard (Mr. Brocklehurst) - He was the Lizard Man and Tod Browning in Side Show. Bradley Dean (Swing) - He was in both The Last Ship and Dr. Zhivago. I saw him in the title role of the latter, and he did a nice job under difficult circumstances. 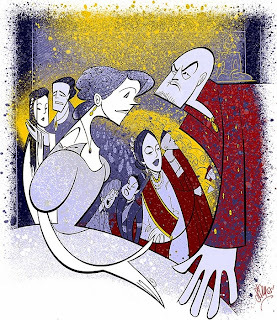 THEATRESCENE THURSDAY: Your Playbill Habits Revealed! Wonder Woman poses with hers! 20% - I look for understudy slips. 19% - I skip right to the section about the show I'm seeing. 17% - I mentally count "How Many Have You Seen?" 11% - I take a picture of it to send out on social media. The other 33% was divided among the other 8 choices. Not one of you said you didn't take one! 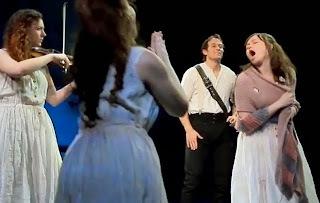 Several of you mentioned (under "Other") that you read "At This Theatre" and the restaurant choices, and a few others said they count the number of orchestra members. I'm definitely with the majority here - I do all three of your top choices! This Gigi fan must be part of the 11%! 71% - I put it away. 22% - I keep it open to the Musical Numbers list. 7% - I give it to my companion to hold on to. Again, I'm just like most of you! I am meticulous about storing it in a Playbill Binder Sleeve, as untouched as possible. And then, with the copy I take to read through (and mess up!) I look for what the last number is for each act, then that gets put away, too. 26% - I have a Playbill binder collection. 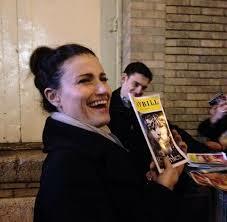 16% - I stage door for autographs. 16% - I toss it on my pile of Playbills at home. 13% - I throw it in my bag and forget about it. 10% - I carry it out in my hands. The other 19% was divided among the other 8 choices. None of you leave it at your seat, good theatre fans that you are! My "twin" wrote in, "[I] usually keep one for the binder and others to keep as extras." I so get you, whoever you are! But my favorite "Other" response is "I tuck it in the back of my pants til I add it to my collection dating back to 1969." Congratulations on your long theater-going career! But I have to ask... isn't it kinda uncomfortable back there? Big surprise - I'm just like the rest of you here, too! 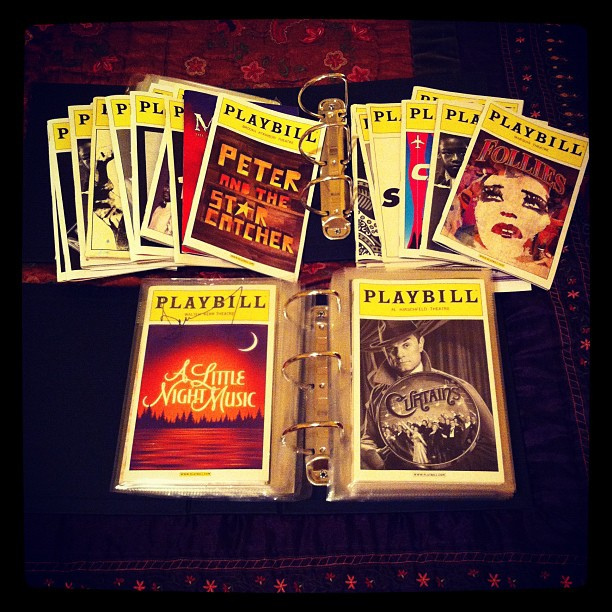 As I said, I have a Playbill binder collection (just ordered my 25th one yesterday). And though I haven't done this in ages, I have stage doored many times over the past 30 years. Meeting Joel Grey after the 1987 revival of Cabaret was a thrill - such a kind man! 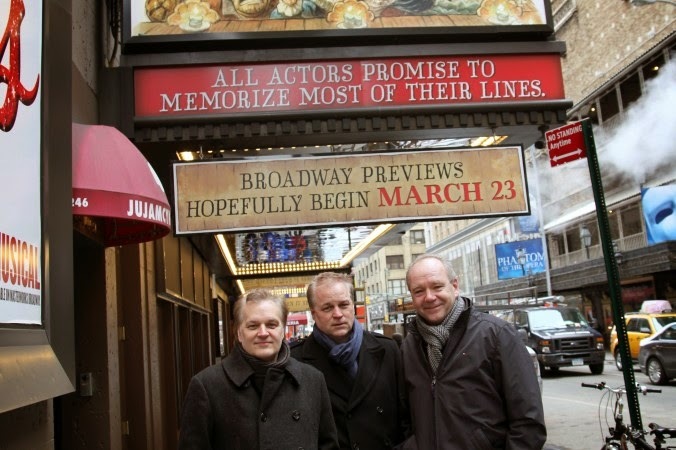 your Les Miz Playbill? And did she? DON'T FORGET TO TAKE THIS WEEK'S QUIZ! IT CLOSES MONDAY, JUNE 1ST. CLICK HERE! 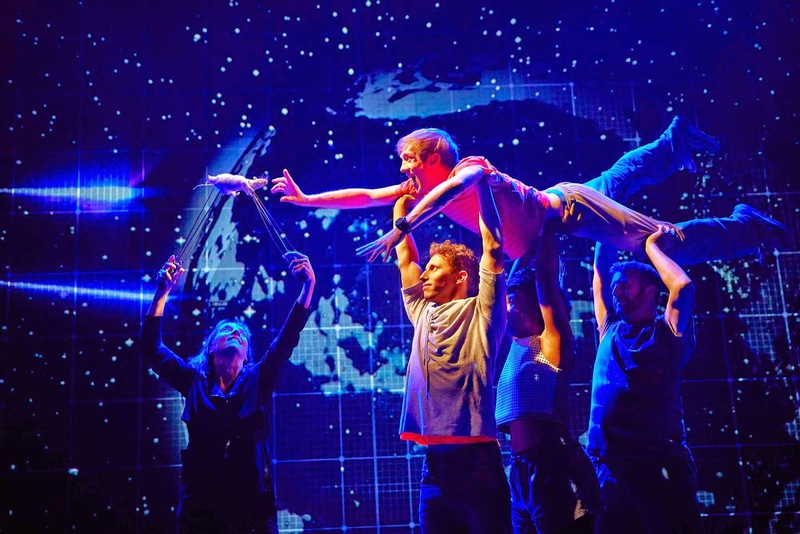 TRENDSDAY QUIZ: Are You A Musical Know-It-All? 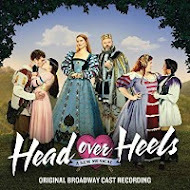 With the great news about the season just ended - record attendance, record grosses - I thought it would be fun to see what you know - or think you know - about this season's musicals! There were 15 new musical productions (10 new, 5 revivals) and there are 10 questions that ask you to consider all of them when you answer. You'll need to use the quiz box scroll bar on the right to move through all 10 questions. When you are done, click "Finish Quiz" to find out your score! Good luck! 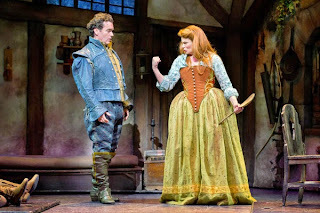 10 correct: You are a Broadway KING AND I am impressed! 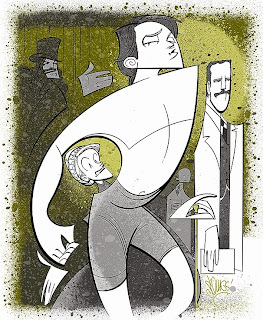 9 correct: Join the SIDE SHOW, you Broadway freak-ing genius! 8 - 7 correct: Pretty good! You deserve a night ON THE TOWN! 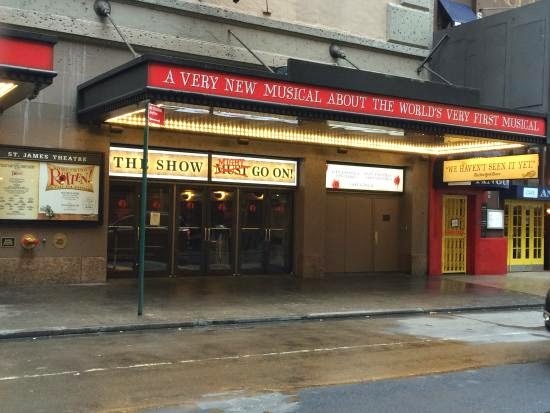 6 - 5 correct: Did you make the most of your VISIT to Broadway this year? 4 - 3 correct: IT SHOULDA BEEN YOU who saw more shows this season! 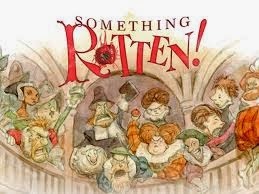 2 -1 correct: Is there SOMETHING ROTTEN going on here? 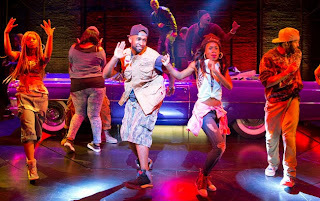 Be sure to check out the results of last week's poll tomorrow in the TheatreScene Thursday blog! Every once in awhile, the Tony Awards nominating committee gets it right. 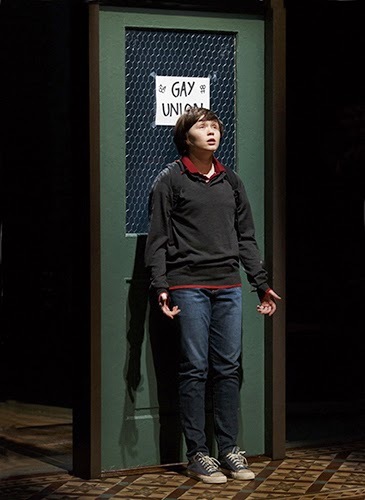 This year, they really did when they nominated everyone in the principal cast of the already award-winning Fun Home, including all three Alisons. What is particularly nice about this is that it affirms the excellent work all three actresses are doing to create a single character at three different points in her life. It would have been a shame to have left one out! And yet, I am going to single one out! 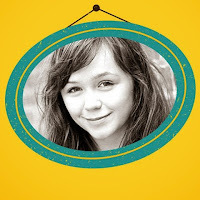 This week, I'm saluting Medium Alison, Emily Skeggs, a Broadway debutante who is a real trouper! 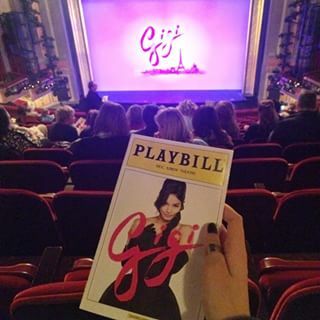 She went from off-Broadway understudy to replacement to original Broadway cast member with the show. I am pretty sure and very hopeful that this is just the beginning of a long career. I don't envy the Tony voters! 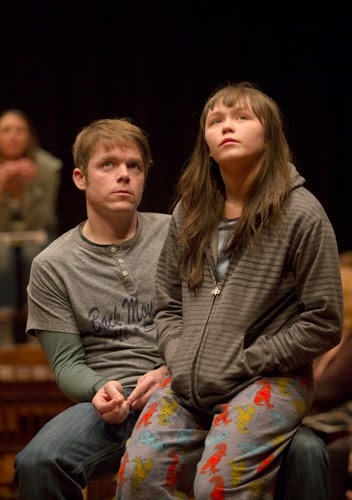 She may play "Medium" Alison, but Emily is a diminutive 5'3"! 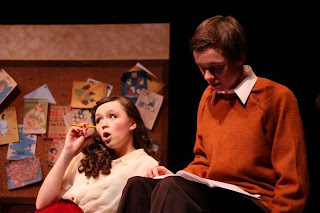 Emily went to the LaGuardia High School for the Performing Arts. She is a graduate of Emerson College - her major was Theatre Studies. She had a minor in writing. 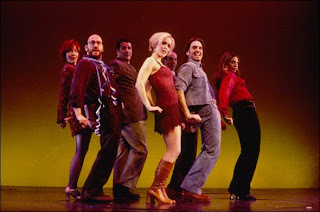 This week, I'll continue my look back at the Best Musical Tony nominees from 15 seasons ago. 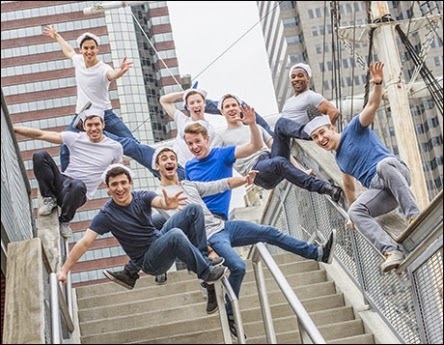 Just as with The Full Monty last week, this week's show was full of established Broadway professionals and newbies who would go on to make their mark. And there are a few connections to 2015 as well. 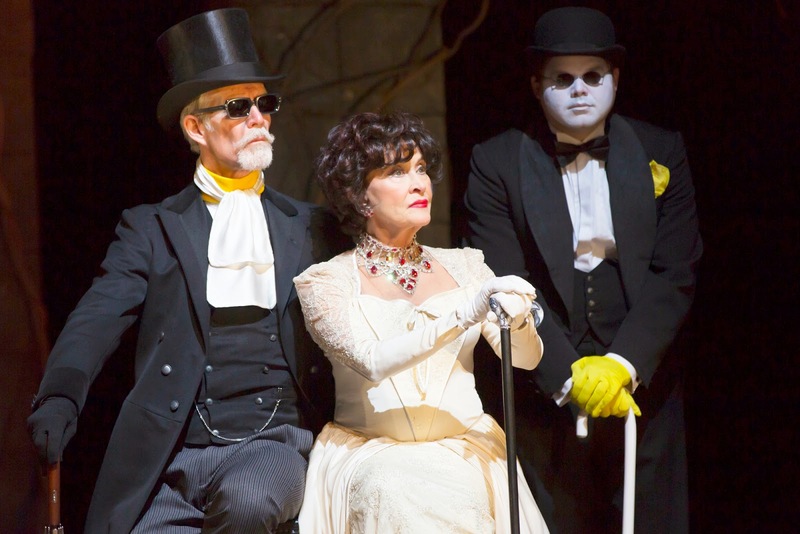 A Class Act was a charming little show, and a must-see for Broadway fans. Celebrating the life of composer-lyricist Edward Kleban, the musical used Kleban's trunk songs (and a few snippets from his most famous work, A Chorus Line). There were some real gems, including my favorites, "Mona," "Paris Through The Window," "The Next Best Thing to Love," and "Under Separate Cover." Kleban was the star of the show, as it should be. Lonny Price (Writer, Director, Ed Kleban) - An actor most notable for Master Harold and the Boys, and a pair of well-known flops, Rags and Merrily We Roll Along, Price was establishing himself as a writer-director. 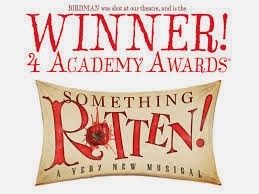 Tony nomination, Best Book of a Musical. 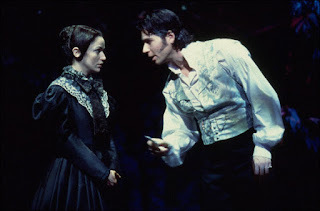 Randy Graff (Sophie) - Broadway's original Fantine in Les Miserables, she won a Tony Award for her hilarious (and beautifully sung) turn in City of Angels. She made her debut in the original production of Grease and went on to star in Laughter on the 23rd Floor, High Society and Moon Over Buffalo. Tony nomination, Best Actress in a Musical. 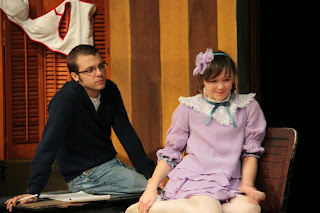 Jeff Blumenkrantz (Charley) - Prior to A Class Act, he most notably starred in Damn Yankees and How to Succeed. Later, he went on to be a Tony-nominated composer for 2003's Urban Cowboy. 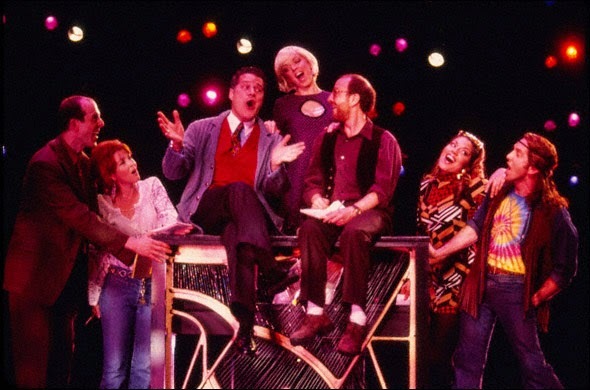 Patrick Quinn (Lehman) - A Class Act would turn out to be the late actor's final Broadway appearance. The Actors' Equity President previously appeared in such shows as Damn Yankees, Oh! Coward! and Disney's Beauty and the Beast. 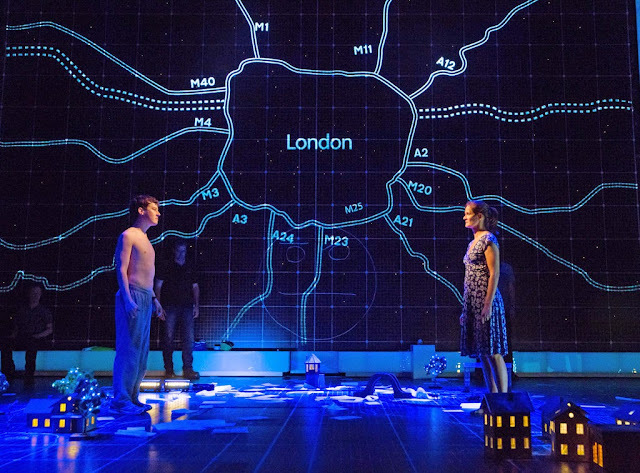 Kevin Adams (Lighting Design) - Though not his first Broadway design, Adams would go on to be a 6 time Tony nominee and 4 time winner for Spring Awakening, The 39 Steps, American Idiot and Hedwig and the Angry Inch. 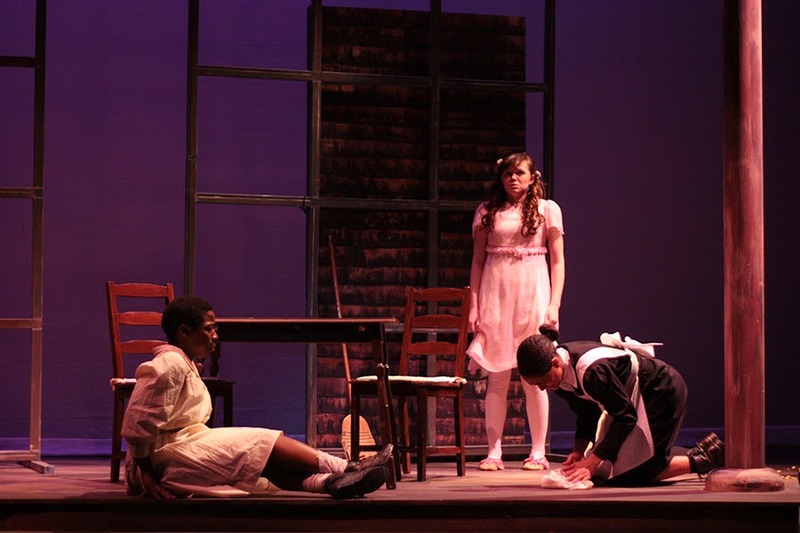 He was also nominated for Next to Normal and Hair. 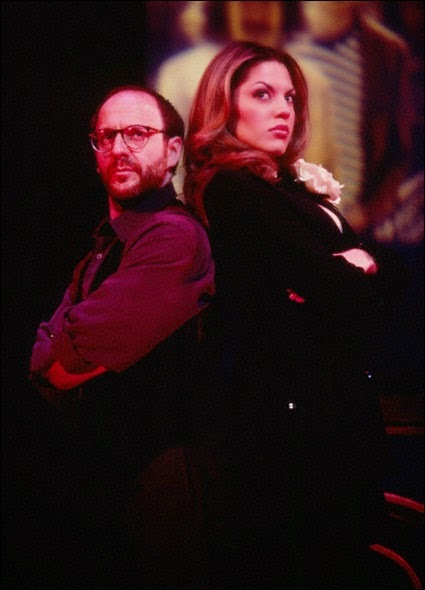 Sara Ramirez (Felicia) - Previously seen in a couple of short running shows - The Capeman and The Gershwin's Fascinating Rhythm - Ramirez would go on to win a Tony for Spamalot. Now she's a TV star (Grey's Anatomy) and hasn't been back since. Danny Burstein (Understudy) - Though he had been in several Roundabout revivals prior to A Class Act, it was after this that he became one of Broadway's biggest and most loved stars, earning 5 Tony nominations in the process, for The Drowsy Chaperone, South Pacific, Follies, Golden Boy and Cabaret. 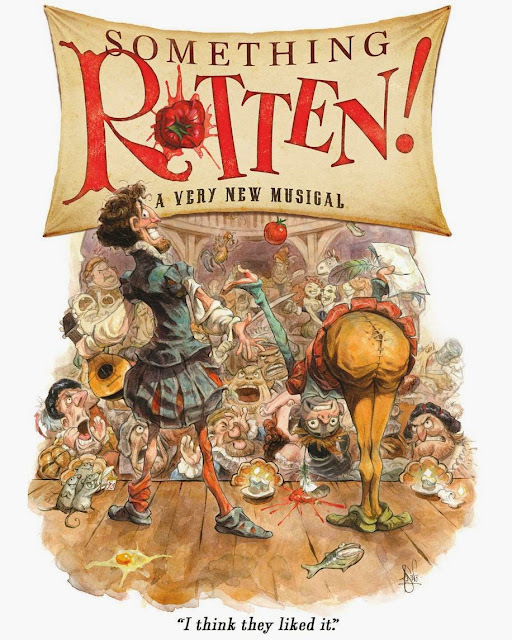 David Hibbard (Bobby) - Currently in Something Rotten! Larry Hochman (Orchestrations) - Orchestrated this season's On the Twentieth Century, The Visit and Something Rotten!, for which he is Tony nominated. Adam Heller (Replacement) - Currently in It Shoulda Been You. David Loud (Musician) - Musical Director of The Visit. Stafford Arima (Associate Director) - Directing the upcoming Allegiance. Ladies, first! You know you are Something Special! 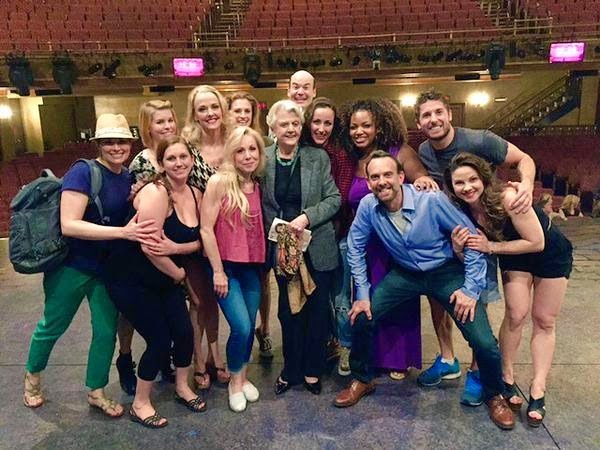 when (theater) royalty pays a visit, likes the show, and poses with the cast afterwards. That's exactly what happened when Dame Angela Lansbury caught a performance of Something Rotten! recently. I'm not sure who was luckier, them or her! More from Squigs next week! Trendsday Poll: What do you do with your Playbills? You get one at every Broadway show, most off-Broadway shows and many national theaters. 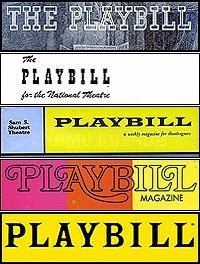 I'm talking about the Playbill magazine the usher hands you before you head off to your seat, full of anticipation. But where does it go from there? For me, it is a near obsession. I get two copies: one to look at, and one that goes immediately into one of the plastic sleeves that come with the Playbill binder. Earlier booklets are kept in comic book collector sleeves in boxes that are made just for that purpose. What can I say? I love my Playbills! This week's survey is 3 questions on this topic. Check off as many that apply to you as necessary - and if you do something not listed, add it under "other." Use the scroll bar on the right to move down the survey box. When you are done, be sure to click "Finish Survey," so that your votes will count! The poll will close on Monday, May 25 at 6 PM! The very first winner of the #MissingTonyAward for Best Ensemble of a play is the Cast of The Curious Incident of the Dog in the Night-Time! 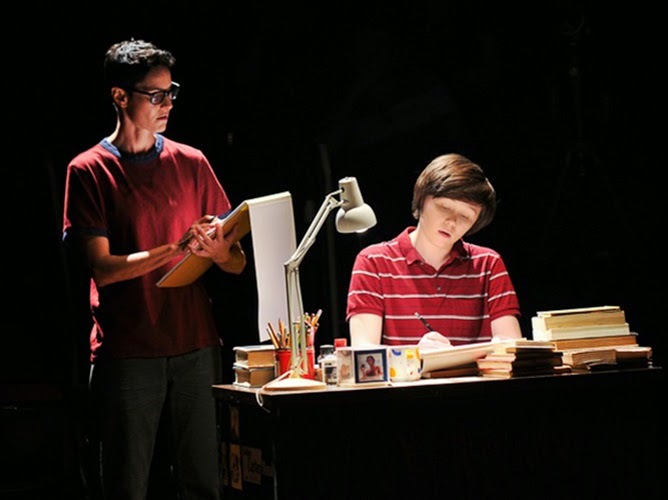 Though he's the lead, I'll be willing to bet that Alex Sharp (and the equally amazing Taylor Trensch), would be the first to admit that it is a total group effort for the entire company. 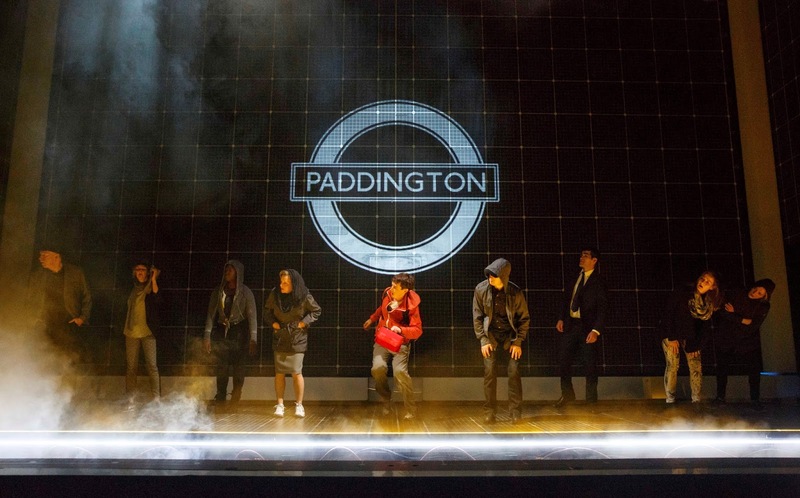 They are not only supporting chracters, they are also movement specialists (hence a Best Choreography Tony nomination) and actual scenery. Talk about a huge skill set! Congratulations to: Ian Barford, Jocelyn Bioh, Helen Carey, Keren Dukes, Francesca Faridany, Enid Graham, Stephanie Roth Haberle, Mercedes Herrero, Richard Hollis, Ben Horner, David Manis, Alex Sharp, Tom Patrick Stephens, Taylor Trensch and Tim Wright! 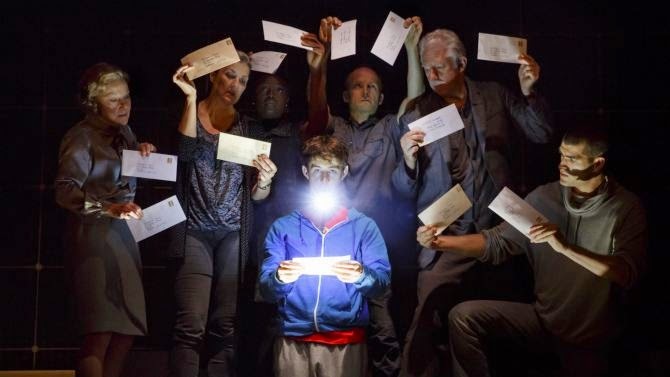 Thanks for voting in the first #MissingTonyAwards celebration! 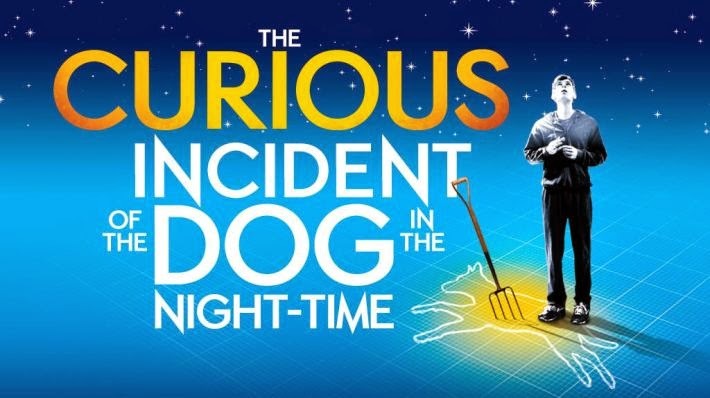 After hundreds of votes, your nominees were the ensembles of: Airline Highway, The Curious Incident of the Dog in the Night-time, Hand to God, It's Only a Play and You Can't Take It With You. Congrats to all. The Winner of the #MissingTonyAward for Best Ensemble of a Musical will be announced on Tuesday, June 2 - Tony Week! Mike and I are sharply divided on one thing about Something Rotten! 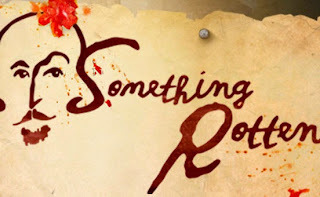 : the show logo. I LOVE IT! Mike, not so much. I love the smooshed tomato. I love the very detailed cartoon drawing. I love how it sends up the very institution it is part of. And I LOVE the tongue-in-cheek copy that stays true to the whole Renaissance/Shakespearean thing, while being totally 21st century. What's really great about it as advertising is that you can instantly recognize the brand it creates, surmise the tone of the show, and, if you really want to linger, there's plenty to chew on. Plenty. on the zany comedy of the actual show. font and larger tomato. The tag line is close, too. But the whole thing is a little too "First Folio." The novice writing team has a top notch ad agency. The top line (in red) is funny and relate-able to anyone who has ever seen a play. 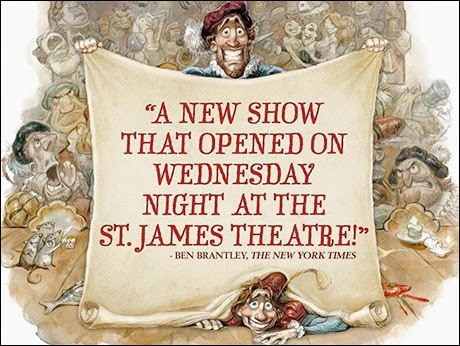 And the hanger hones in on the spate of recent shows whose previews don't start on schedule. hanger with the "quote" from the mother of all critical quote gets, The New York Times. From "the stage": Look at the audience. 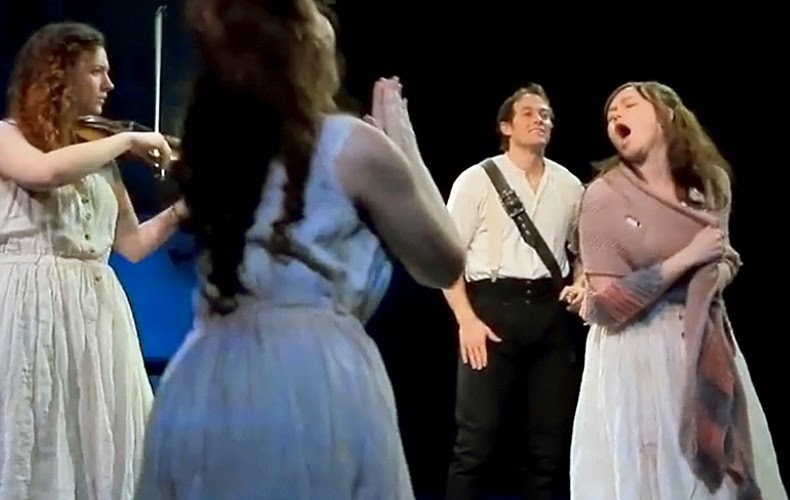 The actors' reactions. The food that had made it to the stage already. The incoming tomato. The appreciative, autograph-seeking rats. LOVE IT! 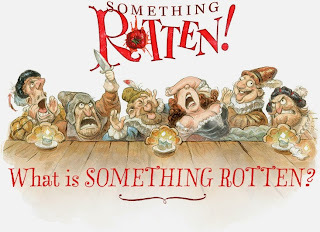 The reaction of the upper-crust of Elizabethan society. and all that implies. One of his flock, indeed. And it totally fits the Brooks Ashmanskas character. Lord Brantley was pretty rotten to Rotten! And they still got a pull quote! stage dooring with Playbill at hand paw. And my favorites - the way the lines are very Renaissance AND very 2015. Talk about viral. 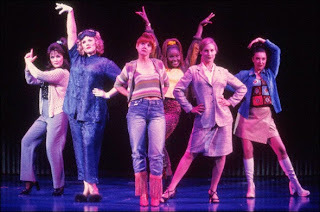 Is the "actual women" also a sly dig at the constant flow of drag roles on Broadway? So, do you agree with me or Mike? Leave your comments below, Tweet me (@jkstheatrescene) or email me: jkstheatrescene@yahoo.com . 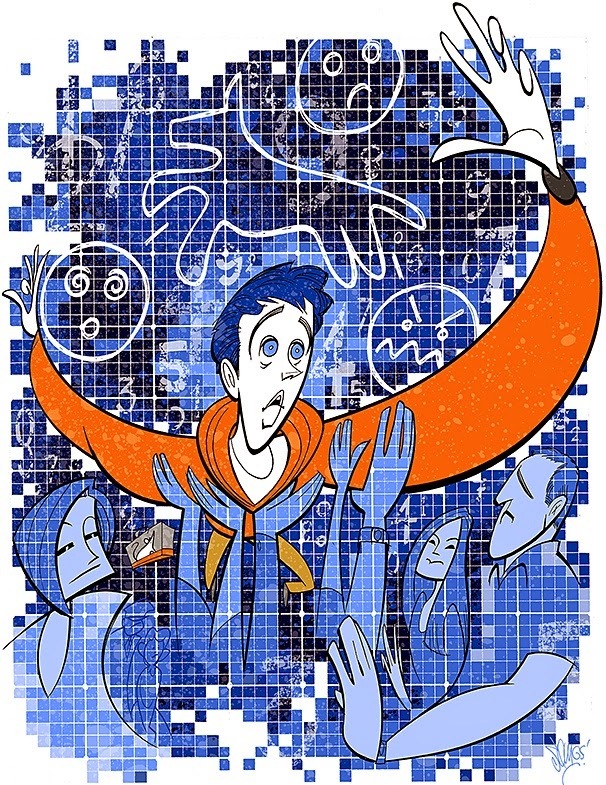 There are a lot of similarities between the 2000 - 2001 Broadway season and the one just ended. There are similar performers and creative types aplenty. And it's fun to look back at where some of my favorites were in their careers 15 years ago, as well as seeing where some of today's stars got their start. 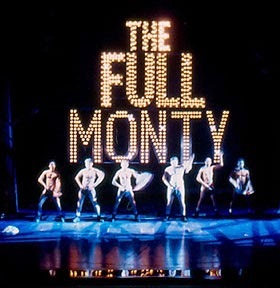 The first musical I'll look at was my personal favorite of the season, The Full Monty. 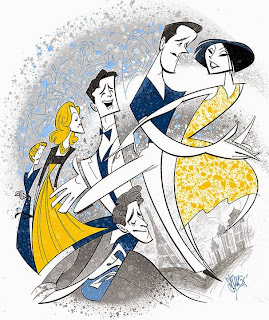 I still maintain that, despite the record-breaking number of Tonys The Producers won, history will show that the superior show was, in fact, Monty. Kathleen Freeman - (Jeanette) probably most famous for many TV roles including appearances on The Lucy Show, and films including Singin' in the Rain. Patrick Wilson - (Jerry) Although not his debut, The Full Monty pretty much marked the beginning of his Broadway and subsequent TV career with a much-deserved Tony nomination. Terrence McNally (Book - Tony nomination) is a Tony nominee for his book for The Visit. John Ellison Conlee (Dave - Tony nomination) is the proud father (Celia Keen-Bolger, his wife, is the mother) of future Broadway star William Emmet Conlee, born April 29, 2015. Jason Danieley (Malcolm) is a co-star in The Visit. Denis Jones (Buddy "Keno" Walsh) choreographed Honeymoon in Vegas. 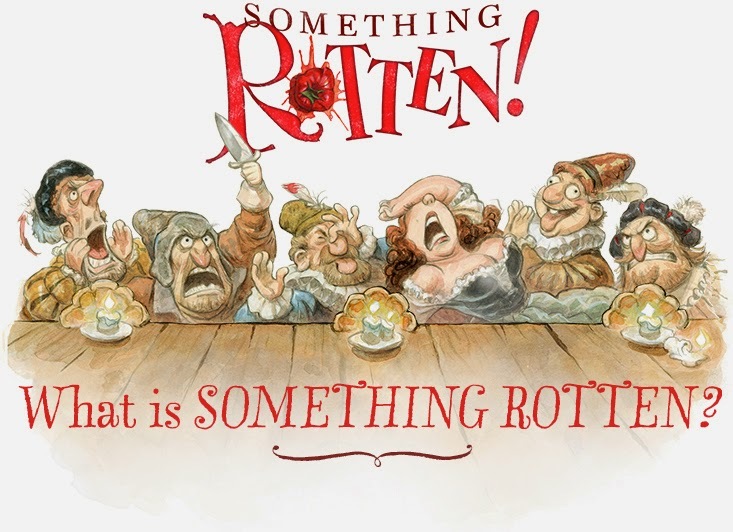 Heidi Blickenstaff (Susan) is a co-star in Something Rotten! James Moye (Teddy) famously went on for an ailing Peter Gallagher in On the Twentieth Century. David Yazbeck (Composer-Lyricist) wrote the original music for Fish in the Dark. Howell Binkley (Lighting) designed the lighting for Honeymoon in Vegas, Doctor Zhivago and Hamilton. 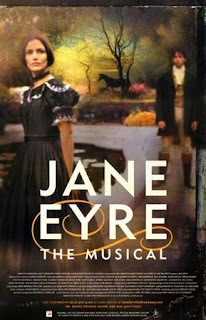 Next week: A look back at A Class Act and Jane Eyre. Trendsday Poll: Which Ensemble Should Get a Tony?